Post Tagged with: "timeshare scams"
Would you like to know how you can spot a timeshare scam to protect yourself? Do you want to learn more about timeshares and vacation ownership opportunities, but want to take care to avoid getting scammed? Read below to learn how you can tell the difference between a reputable timeshare provider and a fraudulent scammer. One of the biggest signs of a probable timeshare scam is if the company does not have a reputation at all. It goes without saying that a good reputation is very important when it comes to determining a safe choice from a bad decisions. So if you come across a timeshare provider that has no reputation at all or you are approached by a vacation ownership or timeshare company that you can’t find any information on, tread very carefully. As the majority of fraudsters and scammers regularly change their name to avoid getting caught by the authorities and to confuse their next victim, make sure to do your research on a timeshare provider that you want to buy from. If you find they have no reputation at all, you should be extra suspicious as it is probable you are at risk for becoming a timeshare scam victim. Are They Part Of A Timeshare Network? Another suggestion on how to spot a timeshare scam is to ask if they are affiliated with or part of a timeshare group or network with resorts in various locations. The vast majority of reputable timeshare companies today are part of a partnership with other resorts throughout Mexico, so if you find yourself in dealing with a resort provider that has no affiliation, it is something to question. Most timeshare companies today are part of a network as individuals that invest in vacation ownership memberships today have demanded increased variety and flexibility that comes with access to additional resorts. Today, most reputable providers are part of a network so their members have the ability to visit various properties as opposed to be limited to just one location. If you come across a vacation ownership opportunity where they are not part of a network, it is a warning sign that they may be a timeshare scammer. The sales representatives that promote timeshares or vacation ownership investments also give big clues about the validity of the provider. If a sales representative or promoter is unable to provide proper identification that they work for a particular resort, that is a huge red flag. All sales reps that work for genuine providers should be able to produce proper identification that associates them with the specific timeshare provider they are promoting. Another consideration is to think about where did you meet the sales representative? Scammers are usually found at random locations throughout town as they are not allowed to legally work inside the airport or shopping centers. To help protect yourself from becoming a timeshare scam victim, always ask to see ID before you agree to attending a presentation. By doing so, you can avoid wasting your time with a potential fraudster. Another common trend that timeshare scammers practice is that they take potential victims to a specific resort, but then ask them to sign paperwork off site at another location. If a sales rep piques your interest about one resort, but then takes you for a tour of another, that is something else to be aware of. Any sales rep that gives a sales presentation that covers the membership plans, amenities, facilities of one resort, but then quickly takes you to another location to talk further, be very wary. Any sales rep who conduct a timeshare presentation off site is likely a scammer so be very careful. Lastly, another simple way to avoid becoming a timeshare scam victim is to trust your gut if you have a bad feeling about the sales rep or any of your conversations. If you just have a wary feeling or have caught the sales rep in lies, you are probably dealing with a scammer. Legitimate timeshare sales reps for genuine resort providers are honest and not allowed to misconstrue any information about vacation ownership membership. If you feel your rep is not trustworthy or if something just feels wrong, listen to your gut and trust your instincts. Vacation ownership memberships with genuine resort providers are an excellent investment for you and your family. Just make sure you follow these tips on how to spot a timeshare scam, and you can keep yourself safe. Recommended article: Should I beware Villa Group Scams? Mexico is one of the most popular and beloved vacation destinations in the world for snowbirds, holiday makers, travelers, and attracts droves of expats each year. This worldwide popularity, and the very things which make it so popular, are unfortunately one of the main reasons that scams related to Mexican vacations are so prevalent. Airport transfer/transport scams can be sidestepped fairly easily! If you book in advance, and it is wise to do so, print your confirmation email (or keep it on a fully charged tablet or phone) and check all details against the reservation list of anyone who approaches you. Check their ID, too, and do so before you enter their vehicle! If you don’t take these preventative measures you could end up paying a secondary fee when you arrive to your hotel and find out you have been scammed! Rental scams work both ways; those who claim a finders fee for third party renters who do not exist, and those who fraudulently hire out accommodation which, for whatever reason, is unavailable, unsuitable or not legally theirs to rent out. If you want to avoid these scams simply use a reputable rental agency that vets their renters and consumers. Check reviews online and do your research before you hand over any money to rent out a vacation property unseen. 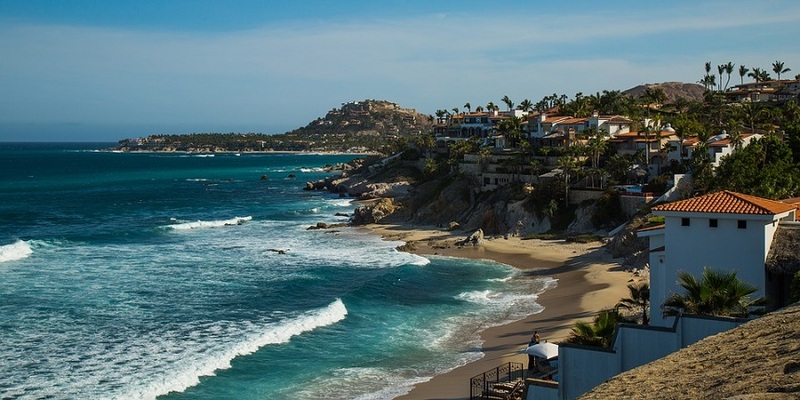 Timeshare scams used to be the main concern in Mexico, but these days they are a dying breed. This is due to the Mexican government cracking down on timeshare scammers and, of course, a more informed and savvy consumer base. However, there are still opportunists out there and the main scams now are cancellation scams which prey on those who already own timeshares. If you want to avoid these scammers the rule is simple; ignore any and all cancellation companies. 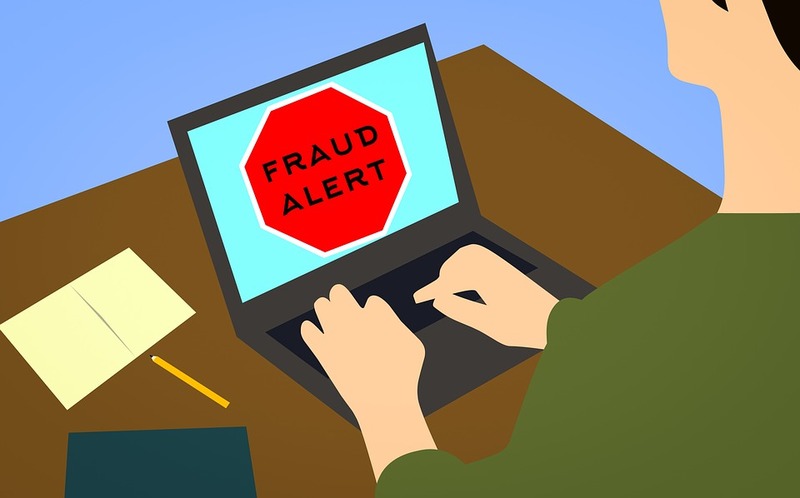 These fraudulent cancellation companies are offering you something they cannot provide out during the legal cooling period, and if you are within the cooling period you do not require their help to cancel your timeshare. Go directly to your timeshare provider for further assistance and do not involve third parties that are likely only trying to scam you. Credit card scams can affect you online as well as in the “real world”. Be wary of paying for your flights or accommodation through an insecure portal or website; this puts your personal financial details at risk! Likewise, be careful who you give your details to when paying for tours and attraction tickets. Most establishments will have wireless card terminals now. Furthermore, ensure that you always know exactly where your cards are, and make sure that they’re in a secure location! These tips will help you enjoy your time in Mexico worry free, and not waste your energy dealing with scams and frauds that could ruin your well deserved vacation. People that have been scammed in the past are precisely the ideal candidates the scammers target. As shocking as this may sound, refund and recovery scams target people on the ‘sucker list’. The sucker list is used in timeshare fraud as well as refund and recovery scams. The list provides the names, phone numbers, and addresses of people who are most likely to fall for a scam, because these individuals have already been scammed on promotions and contests that are ‘too good to be true’ in the past. An example includes if you have entered a raffle for a large sum of money or to win a car, then you are probably on that list. These lists are sold to scammers and timeshare fraudsters who want to target these people again, tageting them from timeshare refund and recovery scams. Have you been scammed or been involved in a timeshare fraud? Have you been scammed? You may not even know that you have been scammed in the past, but if you have ever entered a contest that was fake, gave money for a fake charity and cause, or invested into a company that didn’t exist, then you have most probably been scammed in some way. The reason that you may not have realized you have been scammed in the past is the money that you gave was a small sum, so when you are never contacted again, you forget about it. You may get targeted just by chance when it comes to timeshare refund and recovery scams. Perhaps, you have been on the internet searching for timeshare cancellations or looking to sell your timeshare; all you have to do is enter your information innocently, or join a forum and the scammers know that you are open and ready to be scammed; they see the angle already. Since you have already been scammed in the past, the scammers will begin calling you to promise you that they can recover any money that you may have lost or to provide the merchandise that you never got. The timeshare fraud or recovery scam comes when they ask you to pay money in advance for these type of services. Did you know that it is against the law to charge a fee in advance if you are in the United States? Any telemarketing company that does this to you is breaking the law. You cannot be asked for any advance payment for any service or merchandise upfront. 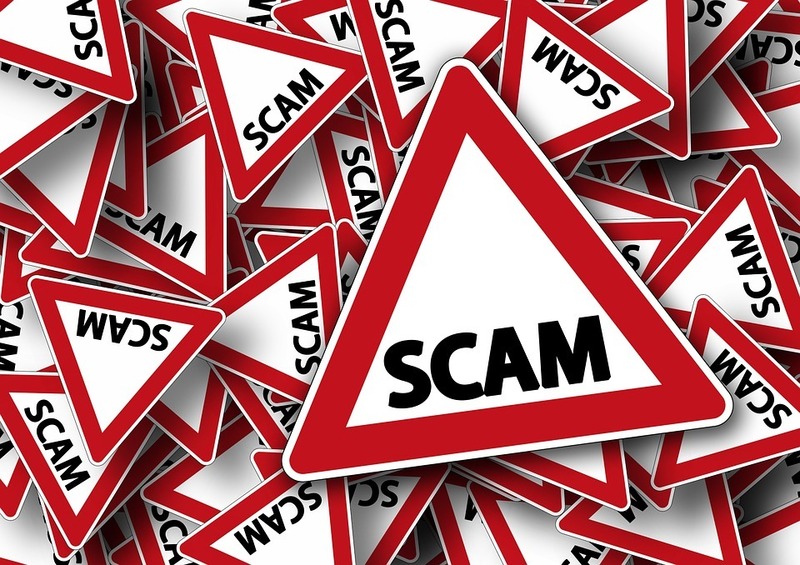 The advice that we can give you today for timeshare fraud and refund and recovery scams is to simply avoid this type of service that is being offered to you, because it is more than likely a scam. In the past if you have purchased a timeshare with a top timeshare brand, then you should avoid any company that claims that they can recover any money for you or provide you with a timeshare refund. They cannot do it for you! If you feel you are entitled to a refund or cancellation, then you should contact the timeshare provider directly. Contrary to popular belief, you still can find a lot of timeshare companies that are very honest in their dealings with customers and are very affordable places to stay without sacrificing quality. A quality timeshare company will offer a great vacation membership with lots of benefits for members. 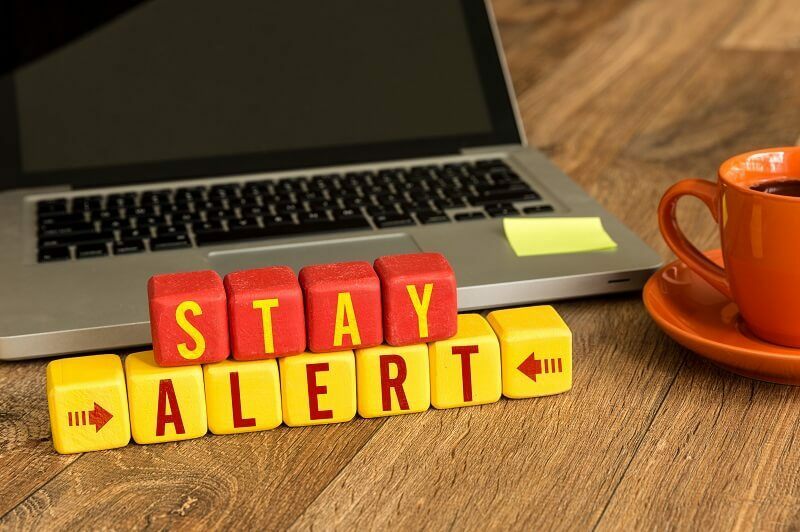 But beware, even though most official timeshare companies are not scams, you can still be involved in timeshare scams through other dealings. The following list provides 10 obvious signs that you are about to be involved in a timeshare scam. Here are some things you should look for if you are planning to buy a timeshare to avoid a scam. Alarm bells should start ringing if you are not given a copy of your timeshare contract. If you have transferred money to get a timeshare but have not signed a contract, then you may be at high risk for a timeshare scam—especially if you made the payment in cash. Always insist on taking your timeshare contract with you. You are at particular risk of a timeshare scam if you are considering purchasing a timeshare that is being resold online. Not all timeshare resales are scams but you may want to take more caution before pursuing the deal. This scam involves showing you a remarkable timeshare resort but actually selling you a timeshare somewhere else. When you see this happening, you already know it’s the sign of a timeshare scam so make sure you check that the name of the resort(s) on your contract match where you think you are buying. This timeshare scam is related to the aforementioned scam. Sometimes an unethical timeshare sales agent will try to keep in contact with you after you have decided that you don’t want to purchase a timeshare. Later, you are contacted by your agent with an offer that is a lot cheaper than what was offered in person and you find yourself purchasing a timeshare at a lesser resort, or worse still a bogus timeshare membership. If you connect with a timeshare representative of a specific hotel or resort that takes you to a different hotel or resort chain for the timeshare presentation, then you are probably in the middle of a timeshare scam. Ask to be returned to the first hotel or resort you were shown. Sometimes taxi drivers are involved in this kind of timeshare scam. If a timeshare company charges you for your timeshare gifts, even if you stay at the presentation the entire required time, then you are probably involved in a timeshare scam. Most legitimate companies will not charge you for the gifts they promised to offer if you meet the minimum requirement for receiving it (this doesn’t include paying for discounted gifts). Legitimate timeshare companies will honor their offers even if you decide not to buy a timeshare. The biggest threat of timeshare scams these days comes from timeshare cancellation companies. When a timeshare lawyer or cancellation company offers to carry out a timeshare cancellation on your behalf after the cooling off period, you are most likely heading into a timeshare scam. Beware any timeshare company that tells you they can transfer your current timeshare ownership from another timeshare company or that they will buy it from you. The only time that this might be possible is when upgrading within the same timeshare company and the honor any equity that you have. The most common timeshare scam is when clients believe that the new timeshare company is going to purchase their old timeshare or sell it for them. It’s always a warning sign when a company says they charge upfront fees for you to have the option to rent or sell your timeshare. Research this company to see if their business track record is reputable. If not, you best bet is to try a company that charges commission fees for the rent or sale of your property. If you ever get a call from a timeshare company trying to persuade you to sell your timeshare, most likely this is a timeshare scam in the making —especially if the call came out of the blue.